When Joe Weider brought Arnold Schwarzenegger to America, the first thing Weider did was to send him to Vince's Gironda's Gym in North Hollywood to whip the over-bulked Austrian into top shape. Legend has it that when Arnold walked in the door, he introduced himself to Vince by saying, "I am Arnold Schwarzennegger, Mr. Universe." The inimitable Vince replied, "You look like a fat f*** to me." Yes, Vince had a way with words. He was also known for a mercurial temper and complete intolerance for anyone who refused to follow his rules. The list of reasons for expulsion from his gym included offenses such as laziness, squatting, bench pressing, taking steroids, mentioning the word jogging and asking for advice and not following it. Personal foibles aside, Vince Gironda may have been the greatest bodybuilding trainer who ever lived. Vince was brilliant - decades ahead of his time. Some of his ideas about training and nutrition were controversial, if not downright bizarre. But no matter how peculiar his methods seemed, the results spoke for themselves. During his heyday, Vince was credited with turning out more Mr. America and Mr. Universe champions than any trainer in history. Two of Vince's most famous pupils were Larry Scott, the first Mr. Olympia, and Mohammed Makkawy, twice runner-up in the Olympia (behind Samir Bannout in 1983 and Lee Haney in 1984). Vince himself achieved an amazing level of muscularity and definition long before being shredded was in vogue. It's speculated that the reason Vince never won a major physique title was because he was too ripped for his day and age! Before it's doors closed after nearly 50 years in business, Vince's Gym was the number one destination for Hollywood stars that had to get in shape in a hurry. Movie execs would often send their flabby leading men and women to Vince so he could work his magic on them. Although it was located conveniently on Ventura Boulevard in Studio City, Armand Tanny once said, "If Vince had his place on a Tibet mountain top instead of near the major motion picture studios, his followers would make the pilgrimage." Vince had the ability to get the movie stars in shape so fast it was almost uncanny - not in months - but in weeks or even days! Cher, Erik Estrada, Clint Eastwood, Denzel Washington, Michael Landon, Kurt Russell, Burt Reynolds, Carl Weathers and Tommy Chong were just a few of the names on his star-studded client roster. Vince was one of my very first mentors. When I was a teenager just starting in bodybuilding, I cut out and saved every one of Vince's articles from Ironman and the other muscle mags. I purchased all of Vince's mail order courses and studied every word as if my life depended on it. I experimented extensively with his techniques and came to the conclusion that Vince possessed esoteric knowledge about the art of bodybuilding that few others ever had or ever will have. Vince's most powerful training system: The 8 X 8 "honest workout"
Vince was known for his unusual training methods. Some of his unique exercises included the bench press to the neck, the sternum chin up (touching the chest to the bar), "drag" curls and sissy squats with what he called a "Burlesque Bump." His training systems included 15 sets of 4, 3 sets of 12, 6 sets of 6, 10 sets of 10 and 4 exercises in a giant set - one for each "side" of the muscle. Of all Vince's techniques, the 8 sets of 8 program was his favorite for the advanced bodybuilder. "I have a definite preference for the 8 X 8 system of sets and reps," wrote Vince. "I come back to this high intensity "honest workout" more often than any other for maximizing muscle fiber growth in the quickest possible time for the advanced bodybuilder." 8 sets of 8 might be the most effective set and rep combination ever developed for rapidly building muscle fiber size while simultaneously shedding body fat. Vince called it the "honest workout " because of the pure muscle fiber size that can be achieved on it. "Keep to 8 X 8 and your muscle fiber will plump out, giving you a solid mass of muscle density as a result," promised Vince. 8 sets of 8 is so effective that as a 20 year old novice competitive bodybuilder, I was able to gain 17 pounds of muscle drug-free (contest weight from one show to the next) in under nine months using this system. To this day, I still use the 8 sets of 8 system whenever I need a "shock program" to bring up a lagging body part. Vince warned that this set and rep combination is not for beginners: "You have to build up to the stage where you can benefit from this extremely advanced form of training. I doubt if anyone with less than two years of training experience could benefit from this method." 8 sets of 8 is a high volume, fast tempo, size building workout. It is not designed for strength development - it's purely for bodybuilding or "cosmetic" improvements. 8 sets of 8 will also help you get leaner. The short rest intervals stress the cardiovascular system to the point where calories are burned, the metabolism is stimulated, hormones are stirred up and fat is melted away. Here's how it works: You will select three or four exercises per muscle group and perform 8 sets of 8 on each exercise. Yes - that's 24 to 32 sets per body part! You will work two or three muscle groups per session and rest only 15 to 30 seconds between sets. Each workout will be completed in approximately 45 minutes and never more than 60 minutes. Although this apparently excessive volume might seem reminiscent of the Steve Michalik and John Defendis "Intensity or Insanity" style of training - it's NOT the same thing. These are not two or three hour marathon workouts. You are completing this routine in under an hour. The reason this doesn't constitute overtraining is because you're not exceeding the workout duration that begins having a negative effect on recovery and anabolic hormones. You are simply overloading the muscles by condensing more training into less time. Many people are under the impression that the only way to make a muscle larger is to increase the amount of weight you use. This is not true. Overload is an absolute requirement to build muscle, but the overload can come in more ways than one. Progressively adding weight may be one of the best ways to provide an overload, but it's not the only way. Vince was all in favor of adding weight to the bar, (provided good form was maintained), but he believed that performing more work in less time was a better method of overload. 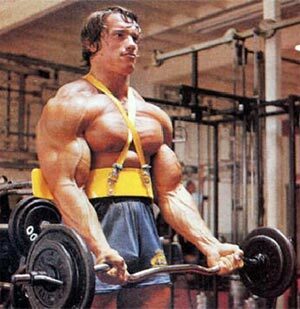 The Iron Guru's advice: "To acquire larger muscles you must increase the intensity of work done within a given time. This means minimum rest between sets. Push yourself. I feel workouts should be timed and you should constantly strive to shorten the time it takes to get through your routine. This is another form of progressive resistance, and is more important than raising your weights. This principle of overload explains why sprinters have bigger muscles than distance runners. Although it's more work to run a mile than it is to run 100 yards, the sprinter is doing more work per second. Consequently, his muscles will become larger." Why use 8 sets of 8 instead of "conventional" training? The most popular method of training for advanced bodybuilders is to choose between two and four exercises per muscle group and perform three or four sets of 6-12 reps on each exercise. The rest intervals range from 60 seconds to four minutes, depending on the goal. So why bother with such an "outrageous" program as 8 sets of 8? The answer is because this type of "honest," high volume, fast tempo training will be a complete shock to your body, especially in the beginning when you are unaccustomed to it. An advanced bodybuilder will adapt to any training program within a matter of months and often within just weeks. Once adaptation occurs, you must seek out new types of stress to coax your muscles into continued growth. Although Vince did not advocate over-training in any way, shape or form, he did advocate using "muscle confusion" for stimulating gains, even if this meant, "temporarily overtraining." 8 sets of 8 is simply an unusual and effective method of overload and muscle confusion. Obviously, this program is not intended for constant use. It's a "shock routine" you can use for brief periods to kick-start a new growth spurt when you need it most. After completing a cycle of 8 sets of 8, you can go back to more conventional methods. How long should you use 8 sets of 8? As long as it keeps working. Another advantage of 8 sets of 8 is that it can be used to work around an injury. Heavy training with 5-6 rep maxes is impossible when you're babying a strain, pull or soft tissue injury. But you can do 8 sets of 8 because you get such an "honest" workout with a fraction of your usual weight. 8 sets of 8 is a fantastic method for pre-contest definition training because 50-60 sets in under an hour is decidedly aerobic. You can easily count each weight training session as a cardio workout. 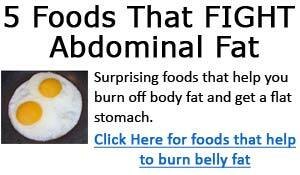 Fast-metabolism types may not even need any other aerobic work while using 8 sets of 8. Vince advocated "a very businesslike approach towards tempo." 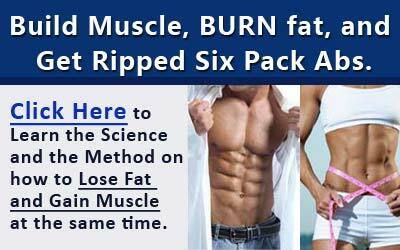 He said that using the 8 sets of 8 format is not enough to ensure muscle gains. What's more important is the speed with which you get through the program. "Minimum rest between sets is a must," said the master. When Vince was training Mohammed Makkawy for the Olympia, he had Mohammed conditioned to the point of doing 8 sets in as little as 5 minutes or less. Your goal is to reduce your rest intervals to 30 seconds or less, ultimately cutting them down to just 15-20 seconds between each set. Once your conditioning has adjusted to the demands, you'll need just five to ten deep breaths between each set, then it's on to the next set. If your tempo on each exercise is 2-0-2-0 (2 second eccentric, no pauses and two second concentric), then each rep will take you four seconds. Eight reps per set means that each set will take you 32 seconds. With a 15-20 second rest interval, 24 sets will take only 18 to 21 minutes to complete and 32 sets will take 25 to 28 minutes to complete. The proper tempo combined with the correct resistance is the key to the success of this program. Vince defined optimal tempo as "the evenly spaced sets (time-wise) without any distractions and complete concentration on when to pick up the next weight and do the next set." This means no magazine reading, no walking around the gym, no gossiping, no changing the CD in your Walkman, and no - not even going to the bathroom. This program requires 100% total concentration. If you get interrupted or distracted, you might as well pack up your gym bag and go home. Do not put the dumbbells down between sets. Rest them on your knees, but don't put them down or re-rack them. Also, don't release the bar between sets; rack it, but keep your hands on it. If you're using straps, don't unwrap them. Stay on the bench or machine until all 8 sets of 8 are completed. Take no rest between body parts. When you finish the last exercise for the first muscle group, move directly into the first exercise for the next muscle group. By the way, to follow these tempo guidelines means you'll have to ditch your training partner. This program must be done alone.